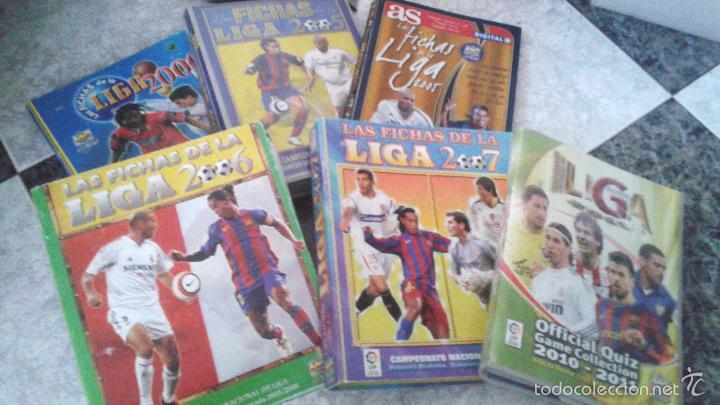 -ALBUM CON ANILLAS (ARMAZÓN SUELTO DE LAS PASTAS) FICHAS DE LA LIGA 2000. 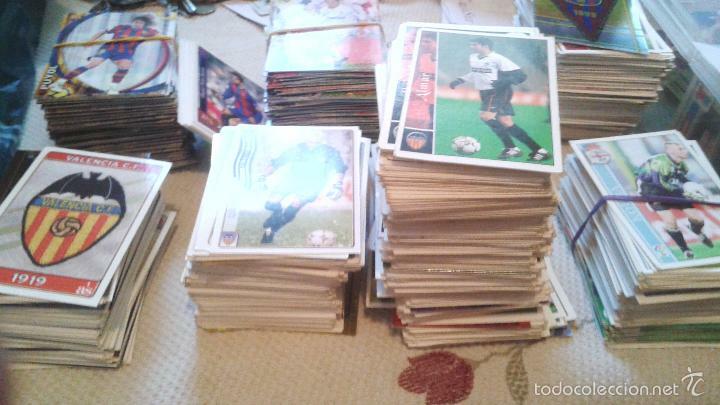 460 CROMOS APROX. -ALBUM FICHAS DE LA LIGA 2005. 340 CROMOS APROX. -ALBUM FICHAS DE LA LIGA 2005 AS. 220 CROMOS APROX. 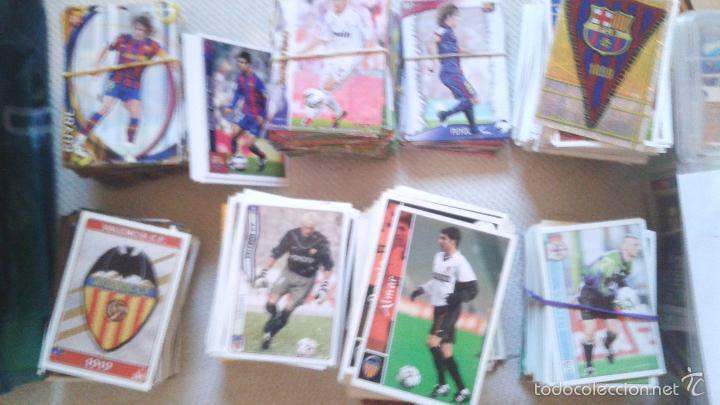 LOTE DE CROMOS SUELTOS DE LAS TEMPORADAS 2001, 2003 (MUCHOS), 2005, 2005 AS, 2006 (POCOS), 2007 (BASTANTES), 2011, 2013 Y 2014 (POCOS). PREGUNTAD CUALQUIER DUDA Y SE DARÍAN MÁS DETALLES SI HAY INTENCIÓN REAL DE COMPRARLO. POSIBILIDAD DE ADQUIRIRLO POR SEPARADO, SI SE VE FACTIBLE. MUY IMPORTANTE: LOS ÁLBUMES CON ANILLAS 2006 Y 2007 NO ESTÁN YA DISPONIBLES.LOS GASTOS DE ENVÍO SUPERAN LOS 10 € O BIEN SE PUEDE RECOGER EN MANO EN SEVILLA O GESTIONAR EL COMPRADOR LA EMPRESA DE TRANSPORTE. Hora oficial TC: 04:37:13 TR: 170 ms.